With the no. 7 pick in the 2016 NBA Draft the Denver Nuggets again played the waiting game to see if the guy that they had their eyes on would fall to them. 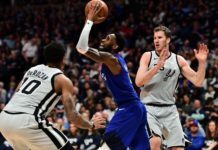 The Nuggets were said to have been very close in getting involved in a deal to move up in the draft so that they could acquire Jamal Murray, but decided to play the waiting game instead. 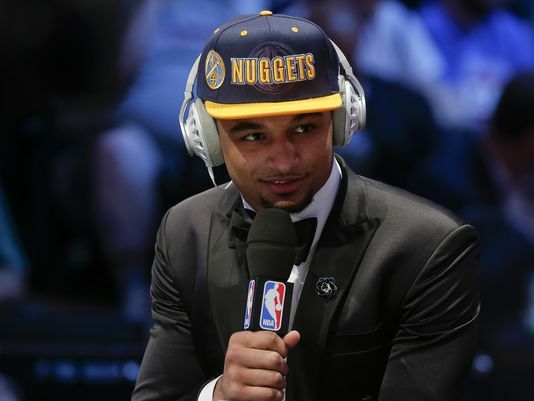 The Denver Nuggets made the right choice in doing so as Jamal Murray fell right into their laps. The Nuggets got their guy. Simply put, Jamal Murray can shoot the ball. A void that the Nuggets felt they needed to fill heading into the draft. 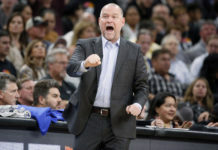 “Our shooting was a big concern,” Nuggets GM Tim Connelly said. The 6’5 guard out of Kentucky averaged an impressive 20.0 points, 5.2 rebounds, 2.2 assists and a steal per game, while shooting over 40 percent from three-point range as a freshman. 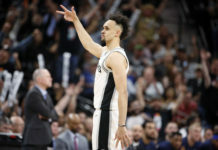 Murray fits well into the Nuggets mold as a young team and should be able to contribute almost instantly with his shooting, it is no surprise that oddsmakers are taking notice as Bovado.com has him as one of the early favorites to win NBA rookie of the year. According to @BovadaLV, #Nuggets rookie Jamal Murray opens 12/1 to win #NBA Rookie of the Year next season. He's fifth on the list. With the NBA draft not even a week ago, Vegas wasted no time in issuing Rookie of the Year odds. Jamal Murray joins two other SEC players as favorites in terms of odds to win the award.